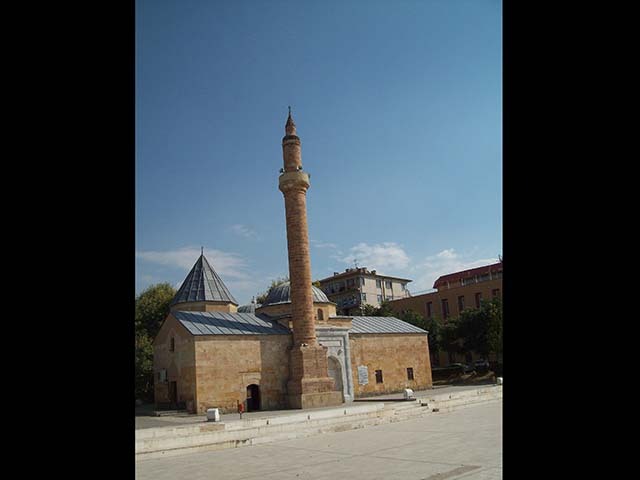 ﻿Tomb of Ahi Evren is a part of mosque-tomb complex located in Kırşehir, Turkey. Ahi Evren was Muslim preacher in Anatolia in the 13th century AD. His tomb was built by a certain Hasan Bey, an Ahi craftsman in 1450 AD.